You may know Robyn as the blonde songstress behind the club banging hit “Call Your Girlfriend”. But today I heard her in a whole new way that’s completely old-school. I was sitting in a restaurant and found myself grooving to the ambience. A seductive voice was crooning over the restaurant’s speakers and without even realizing it, I was nodding and bouncing to the soft, smooth melody over a tight beat. I had never heard the song before but it had an element about it that made it seem like it was a timeless kickback classic. Naturally, I had to know the origins of the mystery song. One quick Google of the lyrics later, I was shocked to find pop-electronica diva Robyn belting out my new R&B Jam crush, “Just Another Girlfriend”. The song is so 90’s-esque, similar to R&B icons like Brandy, TLC, and Monica. 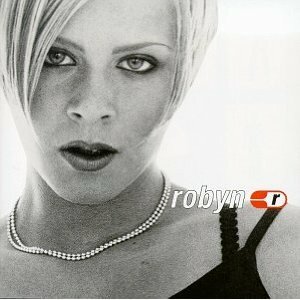 Robyn really showcases her vocal range in this ballad to an indecisive boyfriend on her debut titled album “Robyn is here” released in 1995. She’s obviously taken a new turn in her music genre with the passing times. But I wouldn’t be mad to hear her take it back this way sometime soon.